The Northeast Ohio Parent Choice Awards seeks to gather the opinions of local parents on everything family-friendly in the region. 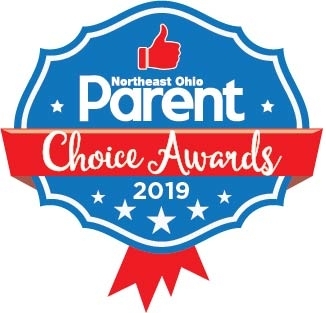 Winners and finalists will be published in the July 2019 issue of Northeast Ohio Parent magazine. Our goal is to connect people with the best local experts. We scored doulas on more than 25 variables across five categories, and analysed the results to give you a hand-picked list of the best doulas in Cleveland, OH. Our city is experiencing a renaissance, evolving from a manufacturing-based community to a city on the cutting edge of technology and entrepreneurship. Josh Womack talks with Ashley Sova in this installment of the YP Helpful Habit series. Ashley is the founder of CLEbaby, and is our first young professional with another impressive title: Mom. Macaroni Kid Cleveland East is a free weekly newsletter and website focused on fun family events and information on Cleveland's east side. We gather local family events and activities each week and add useful information about classes, family-focused businesses, book and product reviews, recipes, crafts, school and camp guides and more. The Northeast Ohio Parent Choice Awards seeks to gather the opinions of local parents on everything family-friendly in the region. In March, our readers made their nominations in more than 40 categories, naming their favorite businesses, attractions, family services, and more. In this episode, we talk with Ashley Sova, owner of CLE Baby – a local birth and parenting services business. We talk with Ashley about the role that a doula can play in a medicated or cesarean birth. Parenthood is not always an easy journey for expectant families unsure where to turn for guidance on birth planning and decision-making. Luckily, navigating parents along childbirth's sometimes rocky path is the mission of a business created by Clevelander Ashley Sova. Owner Ashley Sova was recognized as part of the 2016-17 Class of Fascinating Alumni by Cleveland State University. These alumni represent a wide range of academic disciplines and degrees. Some graduated in recent years; some many years ago. They all have personal and professional stories that make them … fascinating. The last great hope in professional networking via social media is LinkedIn. It’s undisputedly the best resource available for learning about job opportunities and connecting with business leaders. Young professionals value their careers and futures, and yet the majority of their time on social media is spent on Instagram, Snapchat and Facebook.